Samuel Beckett and Al: This duo from Quantum Leap was using an unusual approach. Beckett would catapult into the future to see what the wine was, then return to the present and identify it. 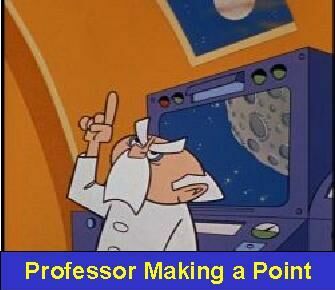 Unfortunately he lacked sufficient control over precisely determining the period of time travel and overshot the mark too many times. Boris and Natasha : Armed with the answers beforehand, they were sure to be a shoo-in for this competition but were unwittingly foiled by Moose and Squirrel who accidentally broke the original bottles of wine, some of which were irreplaceable. Substitute bottles of different wines were obtained at the last moment, making the information held by the two spies useless. Felix the Cat and Vavoom : Armed with a wine identification machine similar to what is being used by the Skipper and Gilligan, it, too was made by the Professor, albeit a different one than the guy in Gilligan's Island. Having Rock Bottom hanging around to intimidate their competitors aided their cause. In addition, this duo had the advantage of Vavoom using his incredible loud voice powers to distract their opponents but in the end he proved to be a bit too loud, the sound waves causing permanent damage to their wine identification machine. 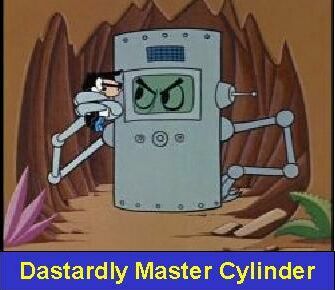 The machine bore an uncanny resemblance to the Master Cylinder, by the way. 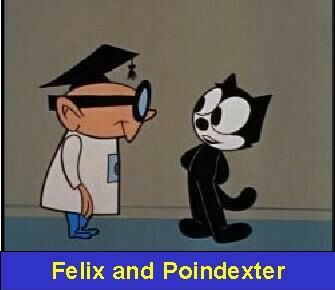 "In retrospect," sighed Felix after being bumped out, "I should have chosen Poindexter as my partner instead of that uncouth loudmouth." 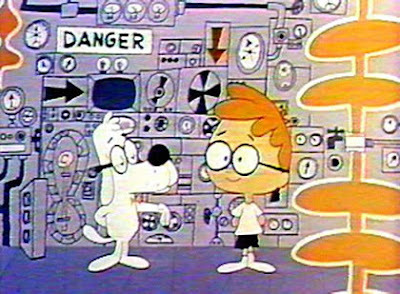 Mr. Peabody and Sherman : They had an idea similar to the Quantum Leap’s team only somewhat in reverse. They used the Wayback Machine to travel backwards in time to perform in-depth studies of terroir, grapes and wine-making techniques but in the end found it too cumbersome. There was simply too much to study. The Quantum Leap method of finding out the answer in the future was much more efficient. Those were the more prominent runners-up. Stay tuned in the upcoming days for coverage of the final round of the competition to determine the most wine-savvy fictional characters!